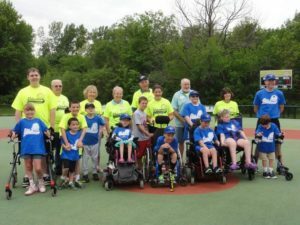 At American National Bank (ANB), giving and community connection is an integral part of their mission—so it’s no surprise that they have been a supporter and sponsor of Omaha Gives! since day one. The ties between ANB and Omaha Gives! run deep. Giving back is part of their foundation as a community bank. American National Bank is actively engaged in strengthening, energizing, and supporting each of the communities they serve, as they help to drive change with both passion and purpose. It’s a sentiment and passion that is felt across all levels of the company, at all times—but maybe most of all, among the 525-plus employees who work for the bank and help celebrate during Omaha Gives! All year long, American National Bank staff are committed to serving on local boards, volunteering for local organizations, and donating time and energy to the things that matter most to them. 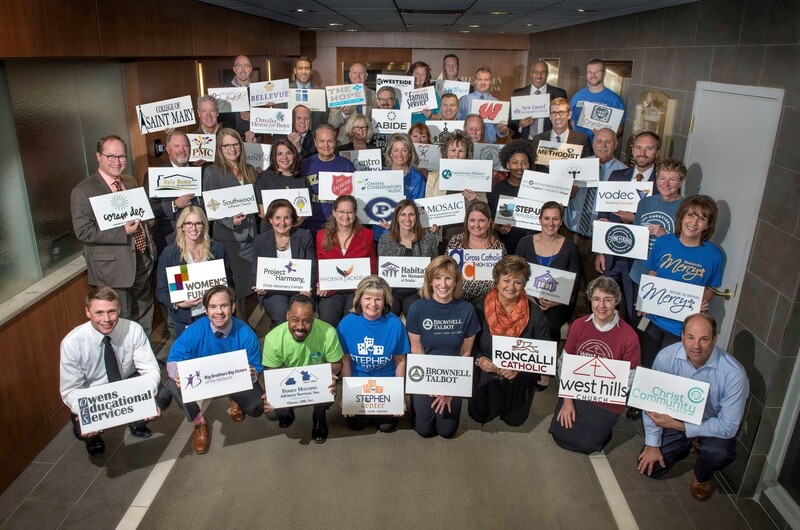 So during Omaha Gives!—a day created to celebrate the important work of nonprofits throughout the community—enthusiasm among ANB employees is at an all-time high. ANB both encourages—and incentivizes—their staff to donate during Omaha Gives! Throughout the day on Wednesday, May 23, ANB employees will be sharing signs highlighting the nonprofits they supported on social media. And all employees who give to an organization are eligible for their donation to receive a $15 match from the bank during Omaha Gives! Banker Bonnie Allen said that she will be donating during Omaha Gives! to Project Pink’d and The Jansen’s Foundation. Both organizations are close to her heart. As a nine-year breast cancer survivor, Allen has been impressed by the programs and services Project Pink’d offers throughout the community to underserved breast cancer survivors. “I was so impressed with the program and selflessness of the organization that I now help every chance I get, both monetarily and with my time,” Allen said. But the incentive to give doesn’t stop with matching dollars. This month, American National Bank has set-up their monthly Cheer Page to support AllPlay Miracle Baseball League through the Omaha Gives! website. In exchange for a donation to AllPlay, staff have the opportunity to wear jeans every Friday during the month of May. Already, ANB employee-giving to the Cheer Page has far exceeded the initial goal set of $1,000. AllPlay President Bruce Froendt said that donations from the Cheer Page are incredibly meaningful, not only for their Omaha Gives! fundraising total, but for the impact these dollars will have on their programming throughout the year. AllPlay is not only proud of its long history with American National Bank—the bank has sponsored their volunteer t-shirt program for the last eight years—but also its history with Omaha Gives; they have been a participant since the first year in 2013.